From the conference room to ad-hoc meetings, it’s important that you have a video collaboration system in place that works seamlessly across all of your use cases. Who else is using Zoom? 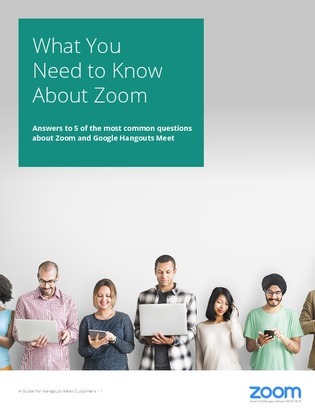 How is Zoom different from Google Hangouts Meet?